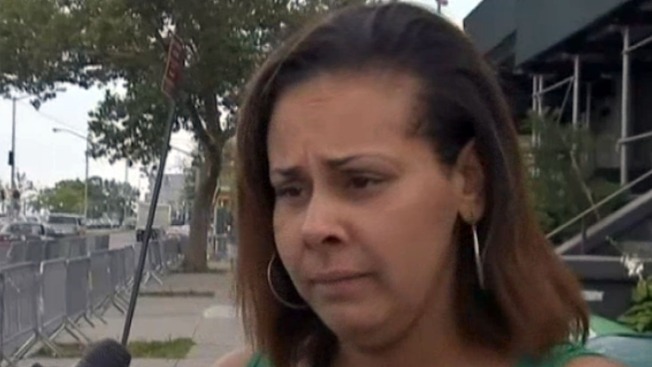 The wife of the man who shot cellphone video of police putting Eric Garner in an apparent chokehold during an arrest last month has been accused of attacking a woman on Staten Island, police say. Chrissie Ortiz was issued a desk appearance ticket for a third-degree assault charge after she allegedly attacked the woman in front of a store on Bay Street, police say. The victim, 35, was taken to the hospital with bruises and cuts. Ortiz’s husband, 22-year-old Ramsey Orta, shot widely circulated video of Garner's arrest, which showed officers putting the 43-year-old man in an apparent chokehold. Garner was being arrested for allegedly selling untaxed single cigarettes and died in police custody. His death was ruled a homicide. Orta was arrested over the weekend on gun charges, and Ortiz alleged that his arrest was a setup. "It's not fair," she said Sunday. "And it's obvious. Once they ruled this a homicide, now you all of a sudden find something on him? C'mon. Let's be realistic. Even the dumbest criminal would know not to be doing something like that outside. So the whole story doesn't fit at all." Attorney information for Ortiz wasn't available.